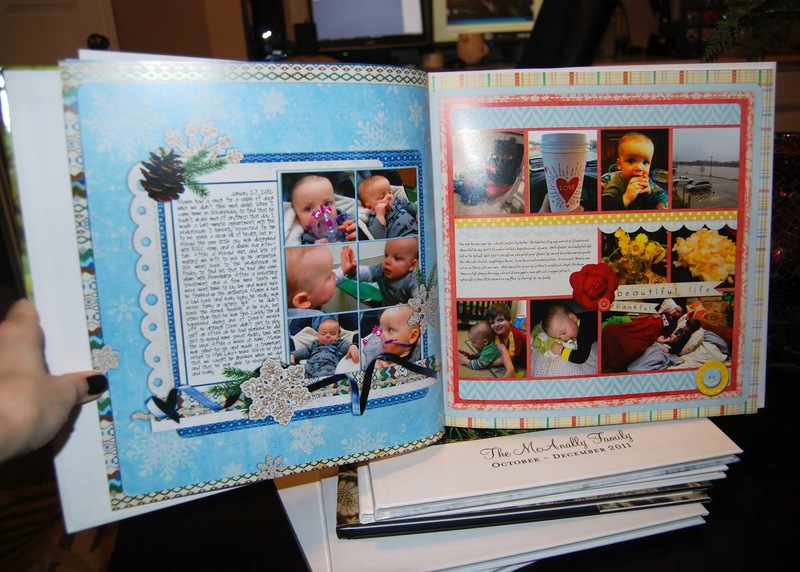 If you've read my blog for any length of time, you're probably familiar with my digital scrapbooking hobby. I LOVE LOVE LOVE it,because it's creative and fun - but NOT MESSY! 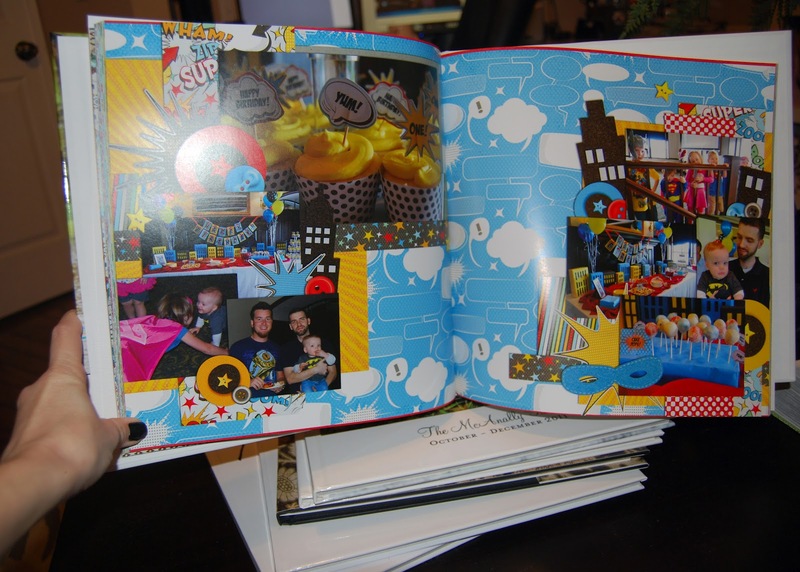 I don't think I could ever do traditional paper scrapbooking because of all the stuff it requires... stickers and papers and etc. I like being able to sit at my computer and create something without having to haul out a ton of supplies. 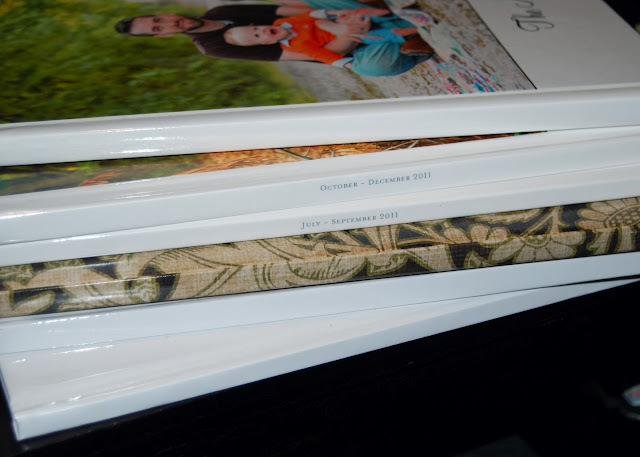 I can usually fit about 6 months into a book, but it just depends - I had to do 3 for 2011. 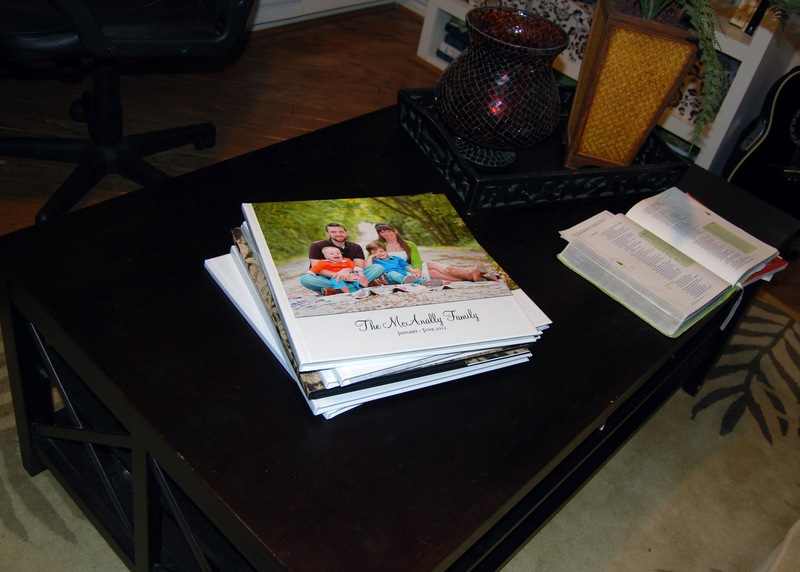 We LOVE getting them out every once and a while and flipping through and remembering. I've done from January 2012 up until this past June and am working on staying current as well as going back and playing catch-up for 2008 and 2009 as well. I love having these precious keepsakes and think we'll treasure them more and more as the years go on. 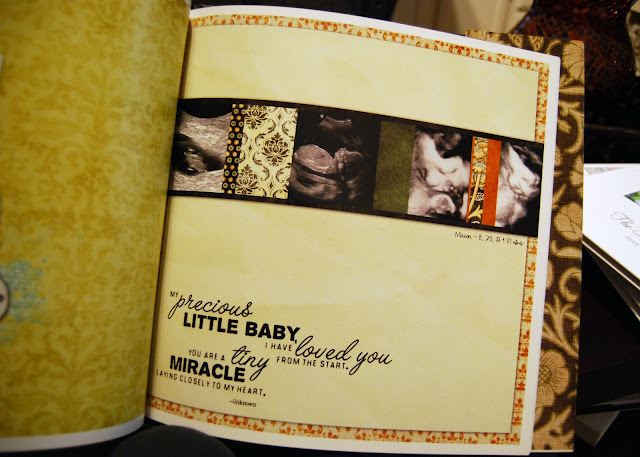 Love your scrapbooks. 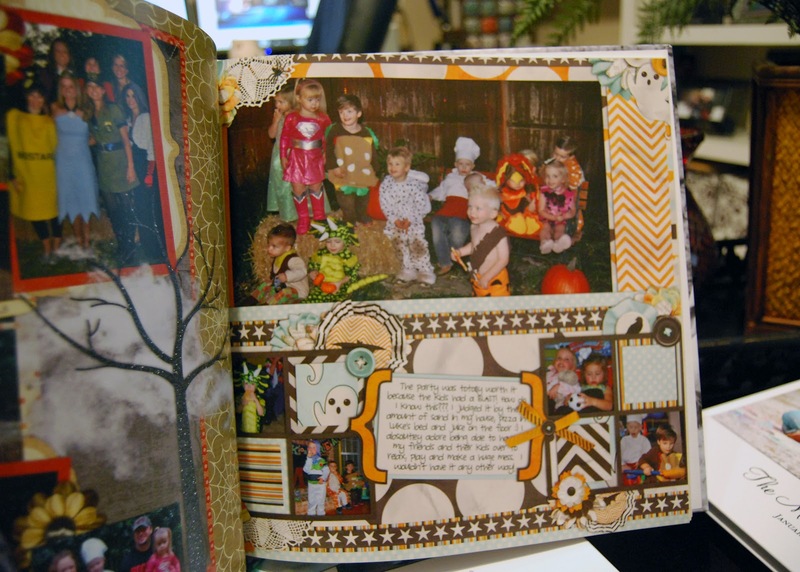 I'm a traditional paper scrapbooking but have considered going digital...Can I ask who you use to print your albums? Any programs you'd recommend to get started? What site do you use? Those are waaaay cute! Thank y'all for the sweet comments! I use Photoshop to create my own pages from scratch and then typically have them printed at Shutterfly. Photoshop can be a little "intense" if you've never used it before (plus, it's fairly expensive of an investment if you're unsure you'll like it)... 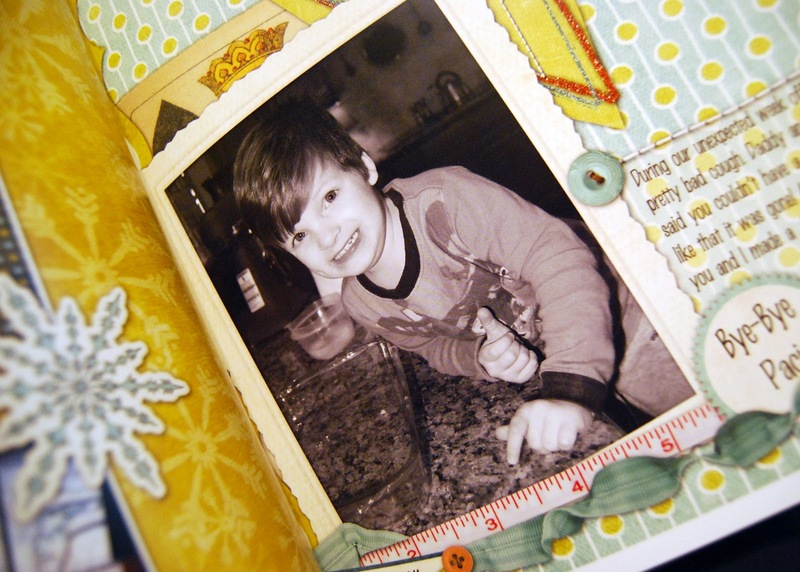 BUT, Shutterfly has some super cute premade pages where you can just drop your pictures in, write your text and BAM! you're done. Hi! I found your blog via Mix and Match Mama. 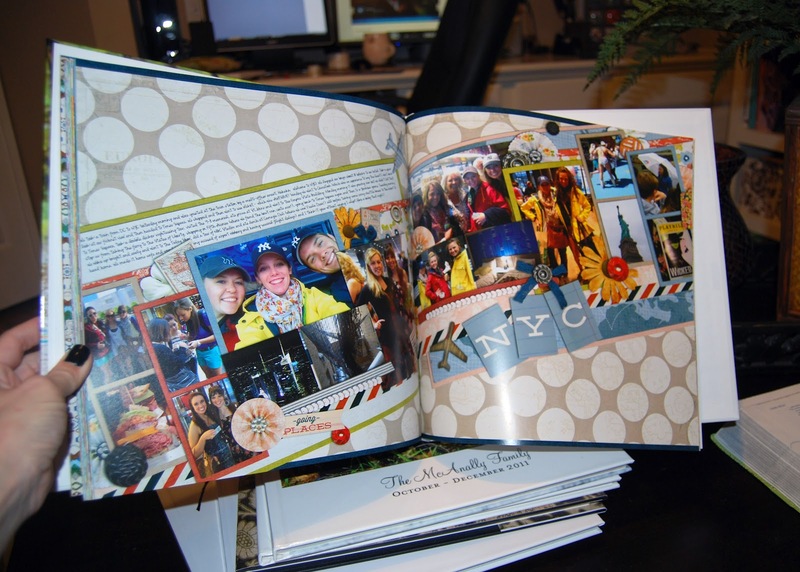 I think your scrapbook stuff is so great! I love doing things like that, but I was wondering where you get your digital scrapbook elements? I've looked on several pages and I'm overwhelmed by the endless pages, buttons, frames...etc. But, I really love the style of your pages, and I was wondering if you might share a couple of sites where you find your stuff :). Thanks!